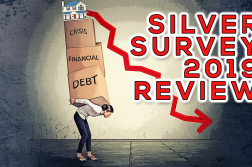 Precious Metals Beaten Down—A Way to Fight Back! Is there is a simple way to make “money” in the precious metals even when the Bankers take down the market. It has been a major frustration for metals investors to see the manipulation take place over and over again. For years I have watched this over and over, yet there is a simple way to play their game against them. In fact one of my commodity brokers and I went through the process on a Master Mind session that took place years ago. Before providing this opportunity to you, let me state my basic premise that physical holding are the most important and this method does involve jumping in with the sharks, which means this is NOT for everyone. However, if we could get enough people involved this method could have an impact on the market in a very positive way. Right now in early July silver is selling for less than the cost of production and most mining companies are barely breaking even. Some that have lower costs than $16 per ounce such as Tahoe Resources have recently been hit with legal problems. On a money supply to silver basis we are again at a level that means on an inflation adjusted basis silver is extremely undervalued. Therefore I am contacting the precious metals community about this webinar and it’s really important for you to at least learn about this technique used by savvy investors, money managers, hedge funds, and of course the Bullion Banks. It’s presented by a friend of mine named Minesh Bhindi and he helps investors in over 40 countries turn Gold & Silver into income generating assets, with excellent results. 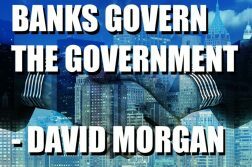 I David Morgan have teamed up with him for an advanced service. His clients independently verified results have been a 1% to 2.2% per month cash-flow on their metals. This means a $1m investment in Gold & Silver doesn’t have to just sit there waiting for this wealth transfer to happen. You could be generating $10,000 to $22,000 a MONTH income. Which means over the last couple years of bottoming in the prices a $1m portfolio could have made a cash-flow income of $240,000 to $528,000 in total cash-flow using this strategy. All while we wait for the prices to sky-rocket, like they will! 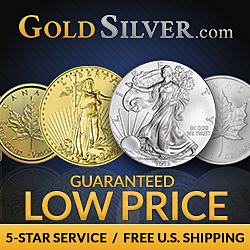 The strategy for investing in Gold & Silver he’s brought to investors is revolutionary for long term metals investors. 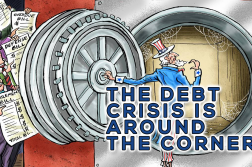 To make it this easy, simple and efficient to generate a cash-flow income and get paid to own Gold & Silver monthly makes it a very enticing way to hold metals while we wait for the wealth transfer and Dollar devaluation we all know is coming. The fact that anyone, any background, any geographic location, any age and any experience level can now own Gold & Silver, get paid at 1% to 2.2% per month to hold while they wait AND profit from the capital appreciation when the wealth transfer happens, this easily, in under 60 minutes per month, makes this one of the most exciting ways to feel good about taking profits again and again. 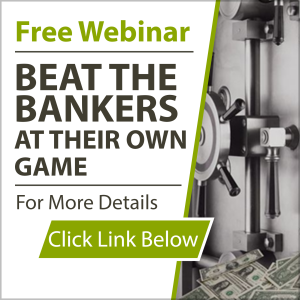 To sign up you can simply go to the Blog on the website (www.TheMorganReport.com) and click the Beat The Bankers Display to get access to this free educational webinar. PS: I just returned home from London where I met personally with many of our mutual clients. Unexpectedly, members started talking about their results and experiences of investing using our strategy, luckily, Rakhee picked up her phone and recorded the whole conversation.